Fun Trivia about Downton Abbey! Elizabeth McGovern (Lady Cora Crawley) today was at the Tournament of Roses Parade on the award winning Downton Abbey float sponsored by PBS! And if Elizabeth McGovern looks familiar you may remember her from shows such as Three Moons Over Milford, Ragtime and even the award winning feature, Ordinary People. Maggie Smith has been in more than 59 films and television programs. (via IMDB) However, for many it is her role as the Dowager Countess of Grantham that has brought her the most widespread recognition in the United States. Although I bet others will say it is her role in the Harry Potter movie series as Hogwarts’ Professor Minerva McGonagall that has made her beloved among fans. Downton Abbey is a goldmine! How many Downton Abbey related products are available for purchase on Amazon? If you guessed 14,218 then you would be correct! Yes, my friends you can buy everything from books to clothing to even dozens of autographed memorabilia just by clicking on to Amazon!. Note if you have missed this program no worries … the full set of episodes are available on Amazon’s Prime videos. The UK episodes are purported to have a few more “additions” to the US versions. 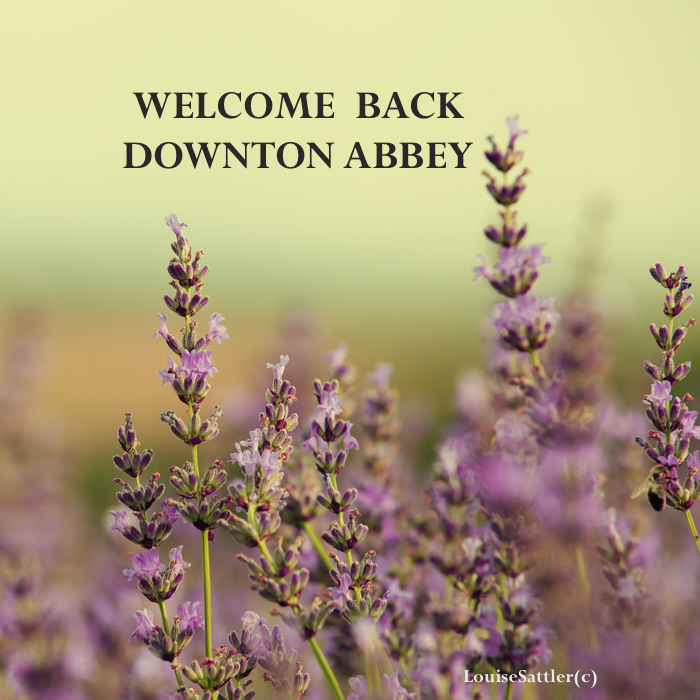 Curious about the little ones’ that are roaming the set as Sybby, George and Marigold – the grandchildren of the Lord Grantham? Well, you will be happy to know that they are just as adorable off the set as on screen. Here is an article I found on TIME with info about these little cherubs. And another from The Daily Mail (UK). Gosh they are so darn cute and yes twins play the part of George Crawley! And, what about Season 6 (no spoilers here) – Well for me I will have to wait and see where this story will journey and soon come to an end. Yes, the show producers have announced that Season 6 will be the last. (Commence tears) But fear not, as before the directors says, “It’s a wrap to Season 6” we will be offered one shining final memory as George Clooney is purported to make an appearance during this season. Here is the trailer from YouTube via iTV.